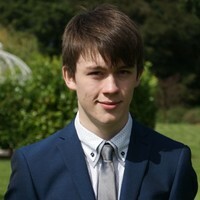 My name is Sean Stevens, I'm a final year MComp Computer Science for Games (Masters) student at Sheffield Hallam University. I've always had an interest in making and creating games from a young age. At the age of fourteen I discovered and taught myself the Lua programming language. I proceeded to make my own games on Roblox, these games have since in total received over 5.4 million plays. A marble rolling game created using C++ and DirectX 9 that won the "End of Year Show Student Prize". 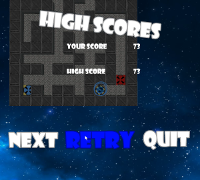 I was in charge of physics, saving levels, loading levels, GUI, marble controls, the level editor and sounds effects. A solo project created using Lua and Roblox Studio with over 4.7 million plays. Players can roleplay and ride a horse around a small world. 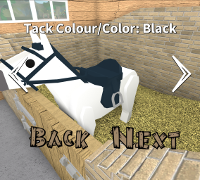 Cosmetic effects and extra horses may also be purchased within the game. 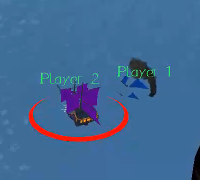 A pirate PVP game created using C++ and PhyreEngine. My tasks for the project were particles, a water shader, ship movement, cannons, cannonball movement, refined environment collisions and PS4 controller support. A VR test created using C# and Unity with a HTC Vive. 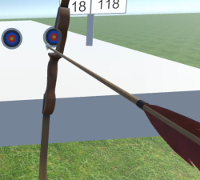 Three games; bowling, archery and basketball were made to test control mechanics in VR. The Vive wands were tested against a mouse and keyboard and a PS4 controller.